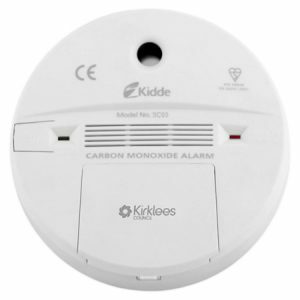 Since the start of Kirklees’ Warm Zone project, Safelincs have distributed 100,000 carbon monoxide alarms to households in Kirklees. The campaign has been very successful, with one resident detecting carbon monoxide as soon as she turned her new Carbon monoxide detector on. Her husband had not been well, feeling sleepy and tired all the time. She too had been suffering from headaches. After the appliances were checked in the home it was discovered that there was a major carbon monoxide leak. This couple were lucky to detect the presence of the carbon monoxide before it was too late. The Warm Zone CO alarm project in Kirklees finishes in June and Kirklees council are urging residents to contact the Warm Zone scheme if they have not yet registered for a free carbon monoxide alarm. Do not miss out on this free alarm that could save your life.